On the next image and in your dashboard you can see new menu item called “Events”. This is where you can organize and setup your events. 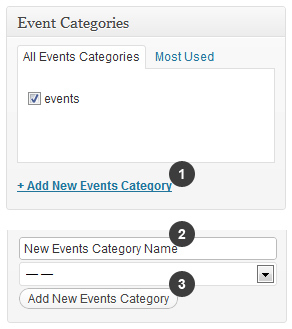 To organize events you need to create events categories. You can make it before, after or directly during the creation of the event posts. On the right side you will see your events categories. You need to check in which category you want this event to be displayed. To do this click + Add New Events Category. 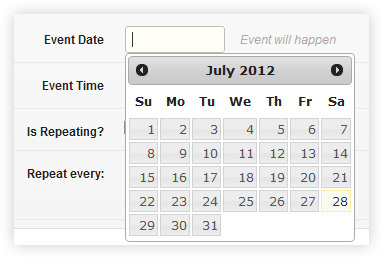 Now you need to set date & time for your event. You can find this setting below the content editor in “Event date“ block. Click on the date field and caledar will appera where you can choose the date. This is most common issue. Note: you can change time format in Settings-> General: Time Format. To make event repeatable, you need to check “Is repeating?” option. You can find it in the same Event date block. After that choose repetition interval. Now you need to add event location. Click New map. After that new options will appear. Now you have a location for your event. 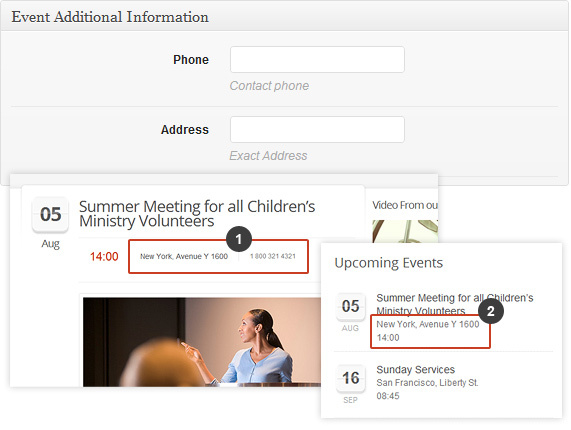 You can add additional information such as phone and address that will be used to display on event page and upcoming event widget. You can set one of three possible layouts for event post: Full width, Left Sidebar and Right Sidebar. You can find this settings at the right side below the event categories. If you want to have same sidebar and layout for all event posts you can set it in global event settings. 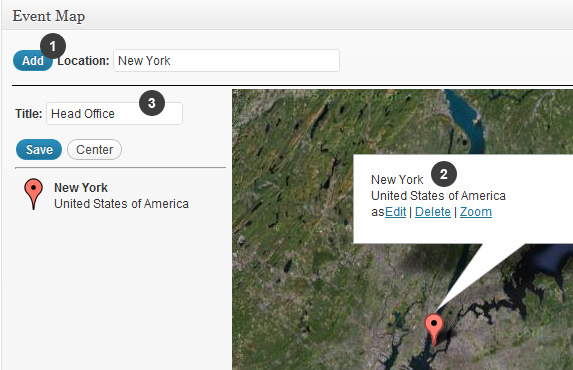 Also there are additional widget area between the map and content. You can enable it by choosing Under title sidebar instance in “Title area settings” block below the editor. You can learn how to create rockin content for your post/page here. How to Show my Events? Now when you know how to create events post you need to learn how to show your events. 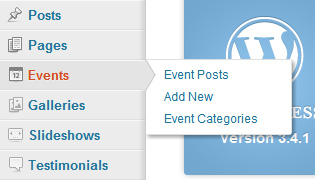 To show your events on site, you need to use event widgets and shortodes. You can also learn what is widgets and shotcodes first.